IRCI held the “2nd Workshop for Young Film Makers for ICH Video Documentation” at the Tokyo National Museum on 4-6 February 2014. 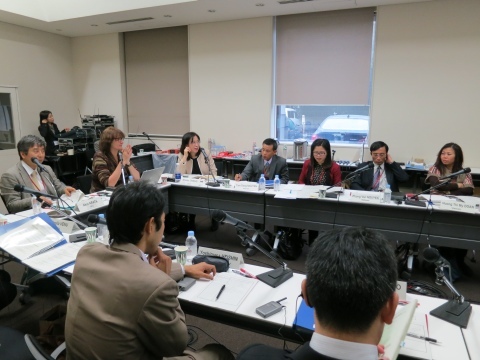 This workshop, which was attended by 10 participants from Asian countries, was a follow-up to the “Workshop on Intangible Cultural Heritage Documentation as a Tool for Community’s Safeguarding Activities” held in Tsuruoka in February 2013. This workshop included lectures by experts on preservation and documentation of ICH, along with presentations and evaluations of ICH audio-visual documentations developed by the participants of the Tsuruoka workshop of 2013 on their own ICH in their respective communities. IRCI is going to publish the final report of the project by the end of Feb. 2015.